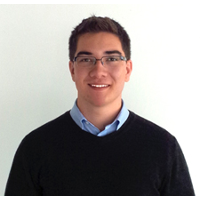 David, our Corporate Communications Coordinator, studied French and Business at Wilfrid Laurier University. With a background in IT support, he is now taking on our various creative assignments. Idea generation is his forte; churning out blog posts, developing growth opportunities, and assisting in marketing initiatives, he helps keep our operations fresh and innovative. Mark is our Lead Developer. 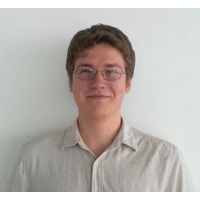 After studying Software Development at Seneca College, he worked on projects such as an auctioning platform for major banks, and singlehandedly wrote the iOS productivity app Just Notes. Mark now manages and maintains our website and administrates the client web portal. Kelley and her team at Excell Practice Management have implemented systems within my practice that help us function efficiently to provide our patients with the highest quality of care, from their initial phone call, to treatment completions and maintenance. With a thorough knowledge of the strengths and weaknesses of my practice, Kelley tailored these systems specifically to my practice needs. Kelley worked with my team and brought my practice to a level of success I never thought I could achieve. I have increased production and net collections substantially in a short period of time and Kelley has shown me that success is very attainable. I would highly recommend Kelley and Excell Practice Management to anyone! I am a dentist, not an HR specialist. While we used to get by, I can now say that everything is great! Thanks to Excell, my team is happier, our patients are happier, and I am happier. We don't have to be slowed down by payroll, or trying to find time for training; now we have extra hours to spend on higher-level functions and even opening another practice! The weekly snapshot reports revealed gaping holes in my practice that had gone undetected for years. After identifying these weaknesses, I was able take corrective action. It was incredibly easy to fix these problems and yet incredibly difficult to diagnose the problem before we had preset metrics to monitor. Over the past two decades, I’ve grown from an associate, to an owner, and now I’ve purchased multiple locations. I’m a busy body, but it would be impossible for me to manage all of my practices by myself. Excell PM has enabled me to focus on practicing dentistry and extending my brand to new locations without all of the stress. Want to get in touch? We'd love to explore opportunities with you! Give us a call or send us an email so we can get the ball rolling.